An R2-D2 droid that was used in several "Star Wars" films has sold at auction for nearly $3 million. 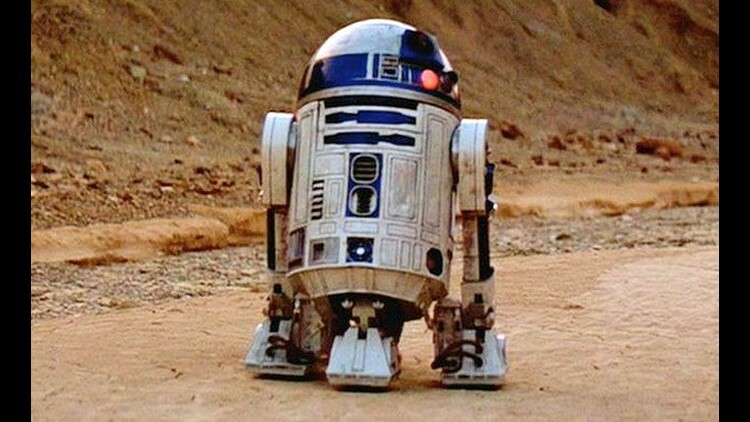 LOS ANGELES (AP) - An R2-D2 droid that was used in several "Star Wars" films has sold at auction for nearly $3 million. There was no information about who purchased the droid, which was the most expensive item offered in a movie memorabilia auction that included numerous props from the "Star Wars" franchise. Other items up for sale included Luke Skywalker's lightsaber from the first two films, which sold for $450,000 and Darth Vader's helmet from the original film sold for $96,000. The Calabasas, California-based Profiles in History had estimated the droid could fetch up to $2 million before Wednesday's sale. Other space-themed film and television memorabilia was also for sale, with a collection of 23 ships from "Battlestar Galactica" and "Buck Rogers" sold for $1.8 million. A helmet worn by late actor Bill Paxton on the set of "Aliens" sold for $51,000. Not all the items that sold were out of this world. The lighted dancefloor from "Saturday Night Fever" sold for $1.2 million."